Rach Writes...: What's involved in being a Campaigner? For those of you who haven't taken part in a Campaign (previously called "Crusades") before, I thought I would write a post letting you know what to expect before my Third Campaign kicks off on August 22nd. In a nutshell, my Writers' Platform-Building Campaign is a way for you to meet your fellow bloggers and get to know them better, while at the same time getting support in your blogging. It's also a way for you to increase your followers (though please don't join just for that, this is about networking and platform-building rather than increasing follower numbers). The Campaigners are people who genuinely want to meet others, pay it forward, and make connections with other bloggers. This therefore gives you a pool of bloggers (some starting out, some established) who you know are in the same position. You can make friends, find critique partners, get support in your writing etc etc - basically, it's up to you. For those bloggers who are just starting out (and even those who've been blogging for a while), the Campaign gives you a head start in finding other like-minded bloggers to connect with. Campaigners will join Groups based on genres (and a few other fun things), and there will be Campaigner Challenges for everyone to take part in as well. And there'll be a badge (with a new design, woot!) to put up on your blog as well. Keep an eye out for my post on Monday August 22nd and follow the directions. Remember to join between August 22nd and August 31st, because I'll be closing the List of Campaigners on August 31st so Campaigners can get to know each other better. join in the Campaigner Challenges if you wish. It's a great way to get to know the other Crusaders and have fun at the same time, and there'll be prizes too! Can't wait to see you all in the Third Campaign!!! I'm looking forward to the new campaign and to see what challenges you come up with this time around! Should be fun! Good luck with your third campaign, Rachael! I'm in to... just have to remember to come back and sign up! Thanks for organizing this Rach! I missed the last one, will try to remember this time. Exciting. Can't wait. It's such a great idea Rach. I'm definitely in on this. I had a lot of fun during the last crusade and I met nearly everyone that I am friends with now from doing this on Rachael's blog. I can't wait. I've been trying to join the campaginer group for a while! It looks like a fun and exciting new Campaign! Hmmm. I wonder what challenges you have in store for us this time. Never been to your campaign, so will check it out. I might just be up for giving this one a try. Thanks, Rach. It's a great idea. Good luck with your third crusade Rach. I'm sitting this one out, but I look forward to reading all the fun that ensues! I met some great people last time, so I'm in! Rachael, I'm looking forward to another chance at meeting buddies through your blog! This sounds like so much fun! I missed it last time. :( But not this time, I'll be back tomorrow! Your Crusade was awesome fun, so I will definitely be in on your Campaign!! I assume sign-ups aren't up yet?? Can't wait! Looking forward to the challenges and blogger buddies. If this is a repeat, I apologize, but I don't see the post. I am very much looking forward to participating in the Writers’ Platform-Building Campaign for the first time! First time campaign for me. I'm excited to meet new people! Rachel, This is awesome. I am off to register now. Thanks for the opportunity to connect with others. Finally just got done with all the steps to join this exciting campaign. I have no idea what I just signed up for but I'm nervous & excited all at once. I'm in! Looking forward to spreading the writerly goodness! I'd love to see some links added to this post, like to the Yahoo Group and to the buttons, etc. 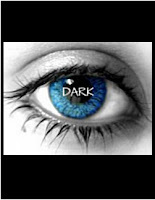 How intense is this? I'd love to join, but I'm already feeling stretched thin as it is, and I'd hate to commit and discover I can't keep up. Help!?? That is such a great idea. I love the writer's community. Without it, I would have abandoned eons ago. I just heard about this over on SheWrites. My blog has been on hiatus while I finish my novel, but I'd definitely be interested in a 4th campaign if it happens. I am very excited about this! I've been off the radar for a while, and I'm ready to jump back in with both feet! DRAT! I JUST FOUND OUT ABOUT THE CAMPAIGN THIS A.M. ANYWAY I CAN SQUEEZE IN? What a great event you have put together ! I hope to get on board with the one that starts in February. Hope its a great time! 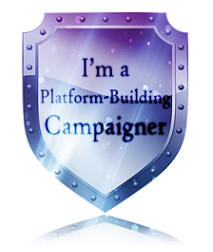 Seems like every cool new blog I discover has one of your Campaigner badges! I am bummed I missed out on the opportunity…looking forward to the next one!